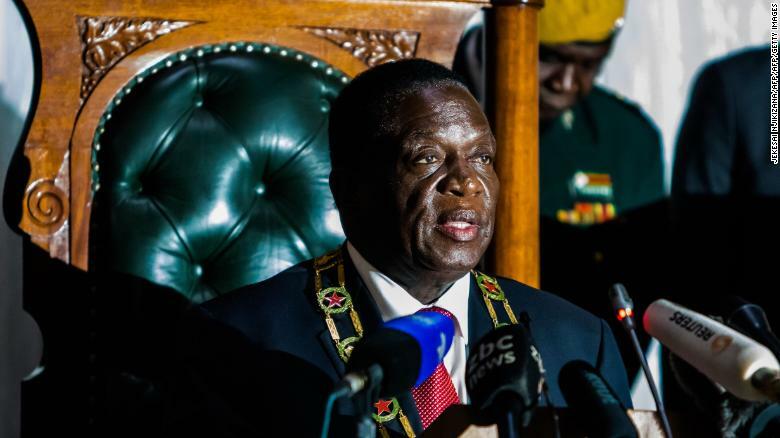 SEVERAL former ministers who did not make it into the 20-member Cabinet announced by President Mnangagwa last week were yesterday redeployed to work at the Zanu-PF headquarters as full time employees, as the ruling party seeks to reinvigorate itself. The party’s Secretary for Information and Publicity Cde Simon Khaya Moyo announced the development yesterday following an extra-ordinary session of the Politburo held at the party’s headquarters. He said 11 departments of the party would be now manned by full time workers, who include some of the former Government ministers. “Now that the harmonised elections are behind us, we as a party found it necessary to ensure that we map our way forward,” said Cde Khaya Moyo. Former Home Affairs, Culture and Heritage Minister Obert Mpofu will head the party’s administration department. Other full time party workers would be Lieutenant General (Retired) Engelbert Rugeje (National Commissariat), Cde Patrick Chinamasa (Finance), Cde Khaya Moyo (Information and Publicity), Cde Simbarashe Mumbengegwi (External Relations), Cde Paul Mangwana (Legal Affairs), Cde Christopher Mushohwe (Economic Affairs) and Cde Douglas Mahiya (War Veterans). Cde Khaya Moyo said the deputy secretary for Youth Affairs Cde Lewis Mathuthu would be also working full time, in charge of the youth department. He said heads for National Security and Women’s Affairs would be announced later. Cde Khaya Moyo said the announcement made by the Politburo was in tandem with the swearing-in ceremony of the new Cabinet by the President and Zanu-PF First Secretary Cde Mnangagwa at State House yesterday. “The party and Government will now have to work as a thoroughly oiled machine, bearing in mind that Government is a product of the party,” he said. This, Cde Khaya Moyo said, ensured that there was harmony in operations, while also ensuring that party policies were implemented by Government. “This is not a new phenomenon here, you will find it in other countries such as South Africa and China, so that there is always smooth running of the affairs of the State,” he said. Cde Khaya Moyo reminded the nation of President Mnangagwa’s “Zimbabwe is Open for Business” mantra and appealed to all the people to unite, cultivate peace and focus on development.